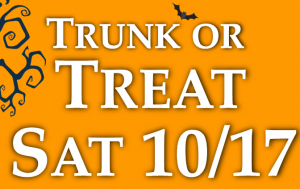 Middle Smithfield Township’s Park and Recreation Board will host its second annual Trunk or Treat, at Resica Park on Saturday, October 17, 2015 with a rain date of October 24, 2015 from 12-2pm for the children up to age 12 of our township. Resica Park is located next to Resica Elementary School off of Gravel Ridge Road in East Stroudsburg. What is a Trunk or Treat? The “big kids” (adults) get to dress up and dress up their car, while the children wear a costume and go safely from vehicle to vehicle to get their treats without worries. What better way to clean out the junk in your trunk, and fill it with treats? 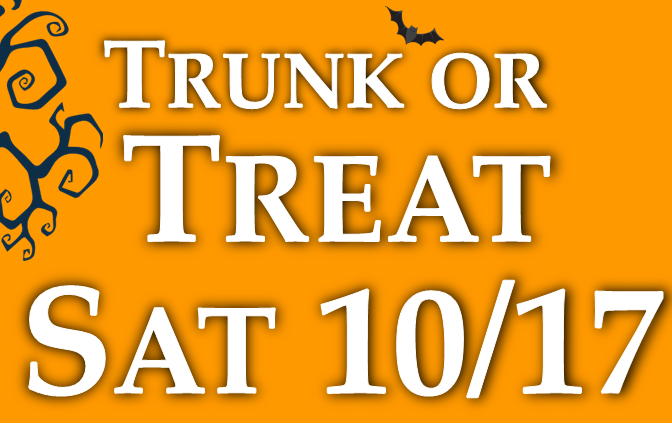 We ask that all people who wish to use their vehicle in this year’s Trunk or Treat pre-register so we know we will have enough spots for all vehicles. Space will be limited and issued on a first-come. Registration: Participating vehicles must pre-register by October 13, 2015. We ask that all participating vehicles be parked in their spots by 11:30am for the safety of the children. Resica Park is open to the public from dawn to dusk. The park contains a walking trail along with the Little League Baseball Field. Other amenities include a toddler playground, bocce ball court, volleyball pit and a pavilion with picnic tables and grills. The pavilion is available for residents to rent for a small fee. For more information about Resica Park, visit our Parks and Recreation page!